The iPad is beginning to take over computers in the classroom as the key electronic learning device, according to a recent survey by Piper Jaffray’s Gene Munster. A survey of 25 schools and their technology directors found that all 25 of them were making use of Apple’s iPad, while none of them were using an Android-powered tablet. In fact, iPads are becoming so popular that many technology directors believe that there will soon be more iPads per student than computers. Those speaking with Munster also believe that the iPad will outnumber PC’s in schools throughout the United States within the next five years, with one director believing that in the future, schools will have more tablets per student, than they do computers. If some or all of a students work had to be done on and iPad rather than a textbook, it would seem like students would do better in school and actually want to do the work because of how modern and fun it would be. 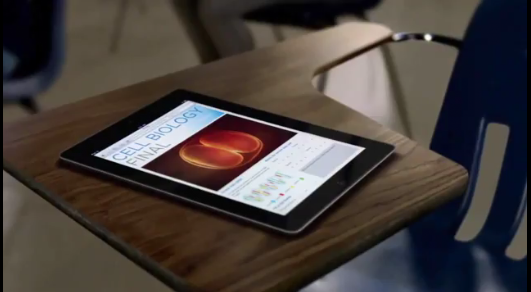 What would you rather bring into a classroom: an iPad or a regular old textbook?